Binance and Top Exchanges Post Low Trading Volumes in January - Coinfomania Coinfomania: Where blockchain and cryptos live. 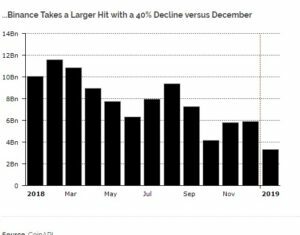 Major cryptocurrency exchanges are the latest to feel the cold of the crypto winter with a Diar report revealing that cryptocurrency trading volumes hit all-time lows on four top exchanges. Binance, the world’s largest crypto exchange by trading volume took the biggest hit despite the recent positive developments around the exchange. 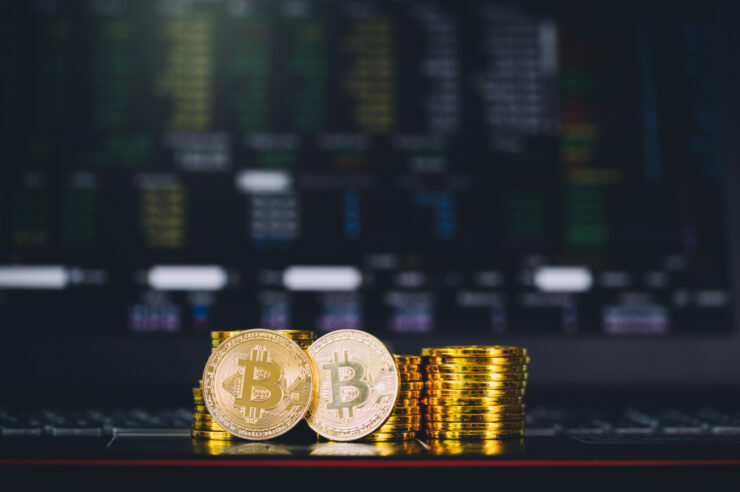 BTC/USD trading volume on the exchange was slashed by 40% in January with a value of slightly over $3.5 billion posted. As per the report, the decline means that Binance has experienced its worst trading low since the exchange came under the spotlight in 2017. 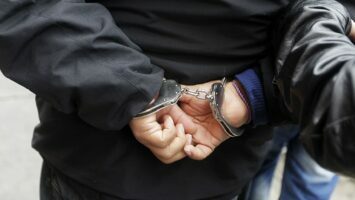 Meanwhile, the Binance launched its U.K-based subsidiary Binance Jersey earlier last month, hosted a blockchain hackathon and recently integrated credit card payments. 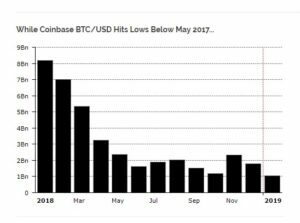 January also saw San Francisco based Coinbase equal its May 2017 lows with BTC/USD trading volumes just slightly above $1 billion. 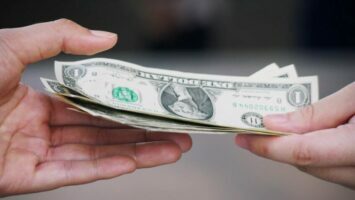 The U.S-based crypto exchange Gemini also posted a trading volume that is slightly above half of the $500 million that it posted in December 2018. 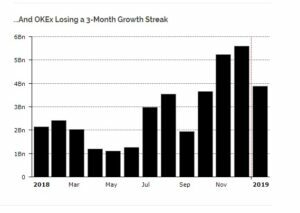 At the end of January, the Hong Kong-based crypto exchange in January lost its winning streak with regards to trading volume increase for the last three months. 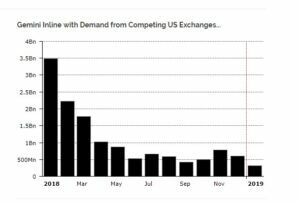 From over $5 billion that it posted in the December 2018, January trading volumes hovered slightly below $4 billion. The low trading volumes literally call to mind the brilliant comments made by Binance CEO Chapeng Zhao at last week’s Binance Blockchain week. The low Trading volume may symbolize low activity on the exchanges but also indicates that we may no longer be far away from the next breakout.